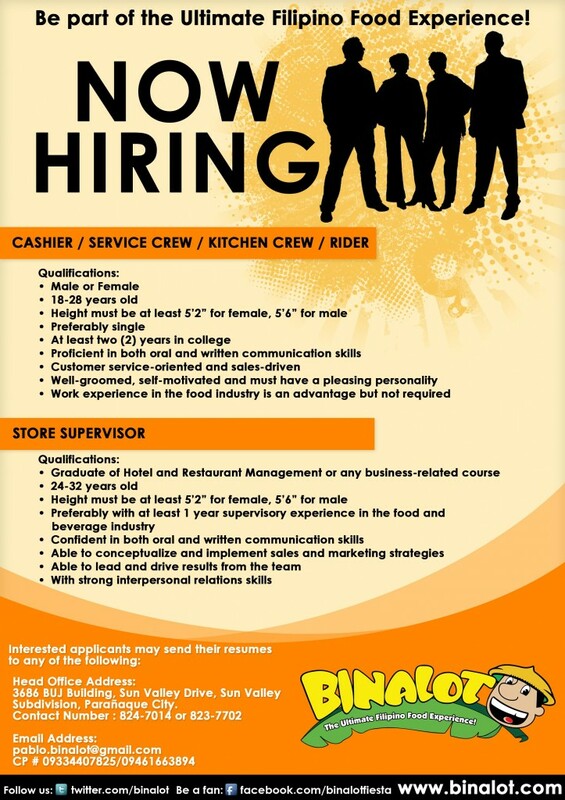 Binalot SM City Rosario Cavite is NOW HIRING! 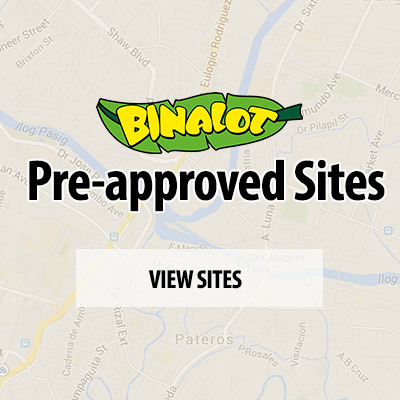 Binalot SM City Rosario Cavite is NOW HIRING! 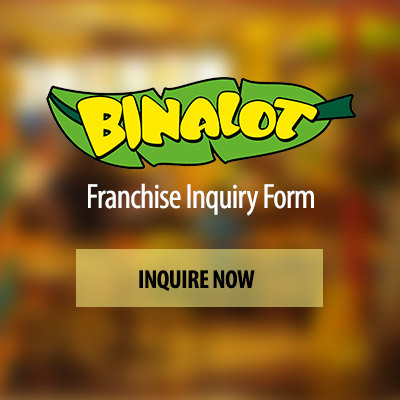 Be part of one of the largest Pinoy food chains in the Philippines! For details, please call Mr. Pablo Sadang at 09334407825 / 09461663894 or email your resume at pablo.binalot@gmail.com.